According to sector analysts, the industry runs the risk of becoming outdated if it doesn’t innovate and digitalize. RIO DE JANEIRO, BRAZIL – For the first time, Rio Oil & Gas 2018, which opens Monday in Riocentro, Rio de Janeiro will have an exclusive area dedicated to digital technologies, where representatives and sector analysts will discuss trends, innovation, and challenges for the industry. 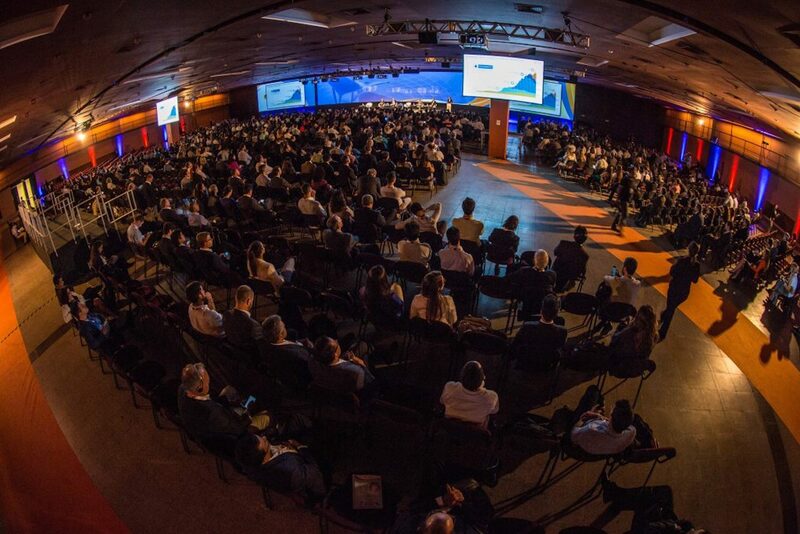 The 19th edition of Rio Oil & Gas starts Monday at Riocentro, photo courtesy of Rio Oil&Gas. Normally divided into four themes (exploration & production; gas & energy; refining and supply & industry management) this year’s congress will add a fifth theme, innovation and digital technology. “Technology, has gone from having a supporting role to being one of the main protagonists in our discussions, with the same weight of topics as Downstream, Upstream, Gas and Energy, Supply and Industry Management,” says Milton Costa Filho, Secretary General of the Brazilian Petroleum Gas and Biofuels Institute (IBP). “Technology 4.0 is reaching all industries, and Rio Oil & Gas is a meeting point to discuss the impacts of this topic on the oil & gas sector. This is one of the highlights of this edition”, adds IBP President, Jose Firmo. In addition, this year’s congress will count on ten parallel events, including discussions on sustainability, downstream, onshore, decommissioning and certification. More than thirty CEOs, vice presidents and directors of national and international entities, operators and service providers are expected to speak, including Toril Bosoni, senior analyst from the International Energy Agency (IEA) in Paris; Kenneth B. Medlock III, senior director at the Center for Energy Studies – Baker Institute – Rice University; and Rune Andersen, from The Research Council of Norway – Innovation Norway. In all the conference will have more than 200 speakers, 35 special sessions, as well as plenary sessions and the presentation of approximately 600 technical papers. Rio Oil and Gas is in its 19th edition and is the largest oil and gas event in Latin America. Organizers this year expect to bring together more than 4,000 participants and over 40,000 visitors to the 4-day event.